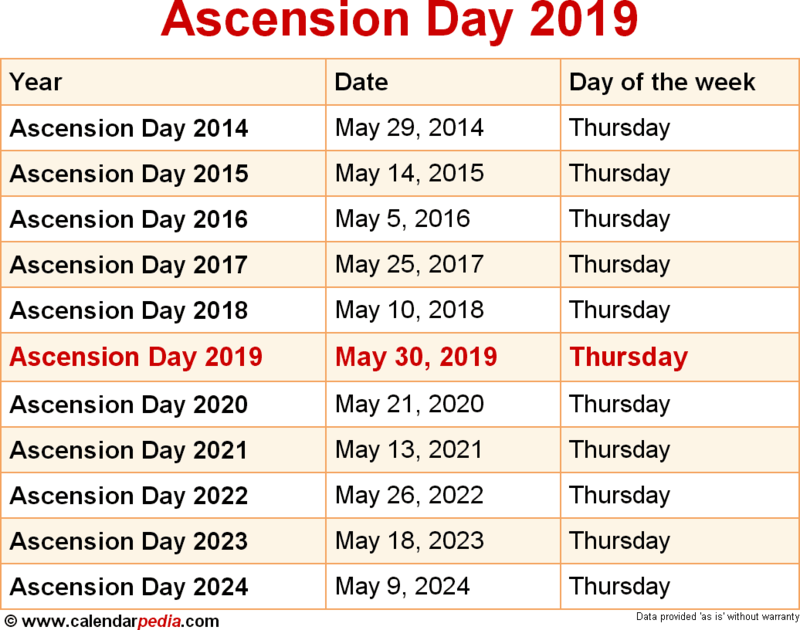 The Solemnity of the Ascension of the Lord (colloquially known as Ascension Thursday or Ascension Day) is one of the great solemnities in the Christian liturgical calendar, and commemorates the bodily ascension of Jesus into heaven. 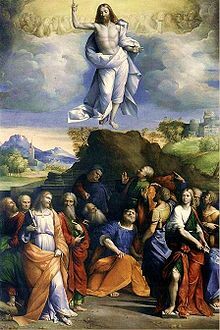 Ascension Day is traditionally celebrated on a Thursday, the fortieth day of Easter. However, some Roman Catholic provinces have moved the observance to the following Sunday. The feast is one of the ecumenical feasts (i.e., universally celebrated), ranking with the feasts of the Passion, of Easter, and Pentecost. In Western Christianity, the earliest possible date is April 30th, the latest possible date is June 3rd. The next occurrence of Ascension Day is marked in red.